As mentioned on my “About” page, I was introduced to Natural Hygiene by the Fit for Life book written by Harvey and Marilyn Diamond. The tenets of Natural Hygiene made so much sense to me that it stayed with me for three decades and I just last year finished my degree to become a Natural Hygienist. As of late, some have lost their faith in Natural Hygiene because some of its prominent leaders have not had the best of health or appearance on the diet and I’d like to address that by sharing with you a courageous book written by Natural Hygienist Dr. Virginia Vetrano, who worked for years with the late Herbert Shelton who spear-headed and championed Natural Hygiene, and whose work many Natural Hyigienists use as their reading material to learn from. The tenets of Natural Hygiene are “simple” and “basic” as the above photo shows: get enough sleep and rest to replenish our nerve energy so that our body’s processes of digestion, repair and elimination can work at optimum levels, manage stress levels so as to not squander precious nerve energy, exercise regularly yet not excessively, eat a whole-foods, predominantly raw, if not 100% raw food diet that includes lots of vegetables and moderate amounts of nuts and seeds, make sure we eat mostly high-water-content-foods and avoiding table salt so as to stay well hydrated, and avoid pharmaceutical and recreational drugs in any form which are toxic and harmful to the body. However, they are not always easy to apply and that is because the way that society is set up works against the application of these principles by it’s high-stress, fast-paced, junk-food-on-every-corner, vending-machine-in-offices, work-all-hours-of-day-and-night structure. One has to very strong and resolute to withstand these forces and it takes dedication and consistency. This system of things can wear down even the strongest of us resolve and the leaders of the movement are not immune to this. Even Vetrano herself acknowledges having to learn this lesson the hard way when she was working at Shelton’s fasting clinic and working around the clock in a high-stress environment. Even though she was eating a “perfect diet” she still got an ulcer from the lack of sleep and high stress. She was able to overcome it, however, and learned her lesson and made adjustments. She is now in her 80’s and still vibrant and healthy. The book gets pretty medical and technical at times because she analyzes the autopsy findings and lab results of T.C. Fry’s death which is good, for those with that type of background, to see what exactly was going on. She also includes that information so that those who want to utilize the best of both worlds, using Natural Hygiene for treatment, but medical tests for discovery, so that one can know better how to interpret the results and then know how to respond to the recommendations that medical professionals give based on those reports and why one would not need to worry about taking alternative courses instead of prescription drugs and surgeries. If you’ve ever tried to apply natural hygiene tenets, you know that it is common to backslide a lot, whether it is eating foods or using stimulants that we know are harmful, not getting enough exercise, having too draining of relationships, overworking, or not sleeping enough. T.C. Fry overworked his entire life and under slept regularly. He tirelessly wrote to promote NH and had a lot of stress and financial problems and a lot of toxic relationships where he did not set proper boundaries. His upbringing with his alcoholic, womanizing father and abusive, neglectful uncle no doubt set up the “unconscious” programming that Vetrano refers to that contributed to these behaviors of T.C. Fry’s that made it difficult for him to apply NH tenets even though he knew them well. Workaholism is a trait of Adult Children of Alcoholics–a term coined to describe those whose emotional development is arrested due to lack of empathy and safety in the home while growing up in a toxic alcoholic dependent environment. My own mother was an adult child of an alcoholic, as my grandmother was an alcoholic who was murdered when I was two years old by a man she met at a bar and took home with her. Violence and alcoholism have a high-association rate, and T.C. Fry himself was shot in the back of the head by a jealous lover and this head injury caused a black out while he was driving and caused a serious auto accident with severe injuries that weakened his body even farther. His lover was not under the influence of alcohol when she did this, however, those from an upbringing in an alcoholic home have a tendency to be drawn towards others with troubled pasts who can respond to emotional hurts with violence. I can honestly say that for many, 12-step programs like ACA (Adult Children of Alcoholics) and Al-Anon (12-step group for families and friends of active alcoholics) are life-saving in many ways. They restore “sanity” which is another word for emotional poise, or peace of mind, if you will, so that one can make sense of the chaos caused by living in the home of an active alcoholic. One learns how to set boundaries with toxic people who are not willing to get help for themselves in a safe community of support. One learns that alcoholic, abusive and neglectful behavior on the part of parents and spouses is not their fault, but it is their responsibility to heal the wounds and move away from those who are unsafe to deal with. Whether T.C. Fry knew of these programs or attended is not known, but it would have been something that would have greatly benefitted him. Another trait of some Adult Children can be dishonesty and this was a trait of Terry’s that caused further problems in his relationships that further drained his nerve energy. It could have been that the approval seeking, another Adult Child trait, was the driving force behind his obsessive working behavior as Virginia writes that T.C. had a problem with avoiding confrontations and setting boundaries and work is often a source of accolades for adult children where they can get praise and attention that they never got from their families of origin. This workaholism takes its toll on families as it did with Terry’s relationships with his own children and his wives who felt neglected. It also takes its toll on one’s body since the signals of tiredness are often ignored as one continues to work past the point of exhaustion. Virginia describes how T.C. Fry ate a very low-protein, high-dried-fruit diet. This led to digestive issues of bloating and gas, bad teeth problems and later to protein deficiency symptoms. The hygienic diet recommended by Vetrano and Shelton included lots of mineral-rich vegetables and moderate amounts of nuts and seeds for amino acids and essential fatty acids. 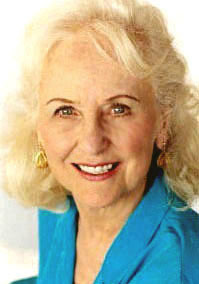 Virginia includes at the end of her book a section entitled “Genuine Fruitarianism” where she describes the pitfalls of a fruit-ONLY diet and the protein deficiencies that it can create and raw vegan high-fruit bodybuilder Charlie Abel had said that the 1/2 of cup of nuts he includes daily made a critical difference in his mood swings and other problems he was having. Greens also have been highlighted in importance by Victoria Boutenko and she shows how the high-mineral content and protein content in them are vital to our health. There are many who, through their ideals, view pure fruitarianism as the best way to eat and yet many have developed deficiencies as a result. Unfortunately, there were reports that T.C. Fry also was deviating from this diet in his later years as was Ross Horne, the disciple of the late Nathan Pritikin, who also promoted a high-fruit raw diet. Why this happened could be attributed to in T.C. Fry’s case to associating with those who did not believe in Natural Hygiene and who influenced him to eat foods that were not health promoting. 3) Using exercise as a stimulant. 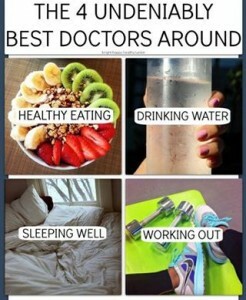 Exercise is important to health in many ways and should be included daily if possible. However, T.C. Fry’s work schedule was such that he did not get sufficient rest and used exercise as a way to “wake up” in the morning and stay awake when his body was giving him signals that he needed to rest. He overrode these signals by pushing his body to its limits by exercising and overworking. This is another common trait of Adult Children as they learn to disconnect from their body’s signals and emotional feelings as a survival tactic to deal with emotional and physical abuse. So, just telling them to “listen to their body” often does not work because they have learned to cut themselves off from these signals years ago as a way to survive intense feelings that were not safe to feel in their homes. This must be addressed and unlearned in a safe environment to fully heal emotionally and physically as suppressing feelings can lead to behaviors such as drug-taking, under-sleeping, over-working and relating to people in ways that are not loving and nurturing in order to keep these feelings buried. Virginia goes into great detail how the Ozone therapy that T.C. Fry used to treat his lung and breathing issues that he had developed was the “straw that broke the camel’s back” in terms of his health. The body can only deal with so much, and evidently he would have been able to have survive had he used hygienic means, but had been influenced away from trusting in those methods by others and might have been too ashamed to ask for that type of help from his Hygienic peers due to his status as a hygienic leader. We tend to put leader’s up on pedestals which are lonely places to be in times of needs and we as a society have a hard time pointing out the mistakes of people of high status who are as imperfect as the rest of us. Apparently, some had tried to reach out and help Terry, but he was too proud to accept it. Humility is essential in all of us to accept the helpful feedback that well-meaning friends offer. Many do not trust the body’s ability to heal and do not recognize the role that harmful emotional elements play in the maintaining of our health. So, they go the medical route for healing, as they don’t want to accept responsibility for changing and face their fears of changing and facing their feelings and so continue in their path of avoidance of feelings by disconnecting from the body’s signals by deadening those signals with medicine which is the easy way out. It takes courage to confront our past feelings that seem too scary to face. But we are adults now and we can take back our pasts and find support and healing in the present. We don’t have to continue the cycle of abuse. The book goes into much farther detail about all the various factors that led to T.C. Fry’s health decline and I highly recommend you read it as it explains a lot. And this information does not just apply to T.C. Fry, but really to ANYONE in the raw food or Natural Hygiene movement that holds themselves up as an example and yet fails to get good results. The lack of transparency and honesty in sharing what one is truly doing and not sharing one’s mistakes has led many to distrust Hygiene itself, rather than recognize that it was the failure of the practicer in applying all the principles involved. As Virginia says, we all do truly “reap what we sow” and there are no exceptions to this. I myself continue to learn and experiment and have learned a lot through trial and error and also from seeing the mistakes of others. I have come to appreciate the importance of rest and sleep and stress-management as well as getting variety in my diet. Managing my insecurities and fears is important, too, and setting boundaries with people who themselves have not yet chosen to heal their emotional scars is vital as well. Natural Hygiene is still the best health practice I have found but there is a need for updating some of it’s methods as time goes on and better methods are discovered. 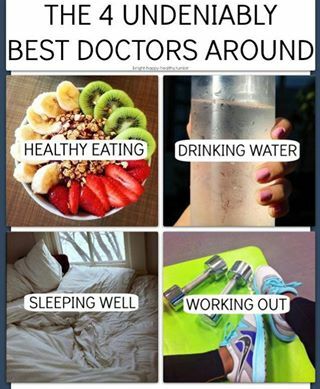 They body, when given the conditions of health, knows how to restore health. 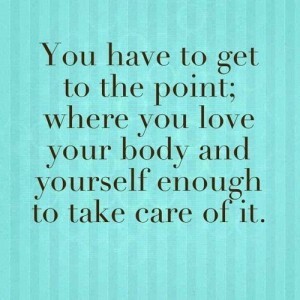 But we are in the driver’s seat and we face choices daily that decide what kind of health or disease we are building. 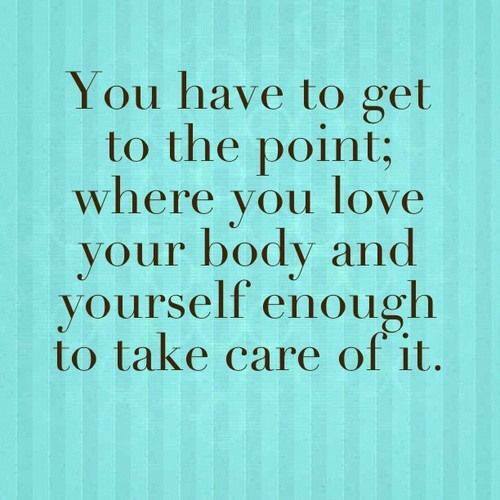 WE NEED TO RELEARN HOW TO LOVE OURSELVES ENOUGH TO CARE FOR OUR HEALTH. SELF-DESTRUCTIVE BEHAVIOR IS JUST EXTENDING THE UNLOVING BEHAVIOR WE HAVE RECEIVED FROM OTHERS ONTO OURSELVES. WE CAN LEARN TO LOVE OURSELVES AND LOVE THE WOUNDED LOVED ONES IN OUR LIVES, TOO, AND HEAL OUR EMOTIONAL SCARS TO LIVE A HEALTHY, VIBRANT AND LOVE-FILLED LIFE. In the meantime, if you see someone who claims to be following NH principles and yet is not a glowing example of health, they either haven’t been following it very long, or are not being entirely dedicated to applying it in it’s entirety. Emotional issues must be addressed in addition to a well-rounded diet and rest for vibrant health to be restored.